Breatheasy® 99% solvent free formulation. Virtually odour free and has a contemporary non-reflective matt finish. 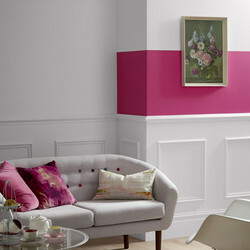 Can be used on internal walls and ceilings. Time to recoat approx: 4 hours. Approx coverage: 14m2 per litre. White Pure Paint Sample Pack available 94359 . 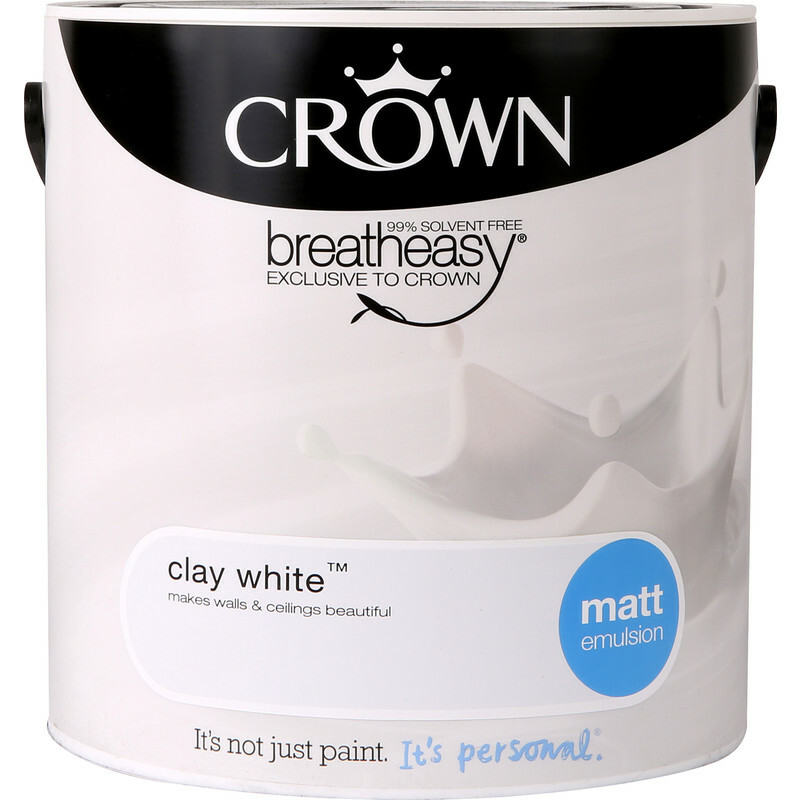 Crown Breatheasy Matt Emulsion 2.5L Clay White is rated 5.0 out of 5 by 7. Rated 5 out of 5 by Steveuk57 from Light & not overbearing I bought some of this paint for my kitchen in the early part of last year. When I was looking for a colour or paper for my hall I wanted something light as my house is fairly small so need to keep it bright and airy. My daughter pointed out that it looked good in the kitchen, what about Clay white made by dulux for the hall. I painted a small section of the stair wall so I could look at it from my living room for a few days to get the feel for it. Ordered it straight after. It's light and give a clean appearance. Rated 5 out of 5 by geoff witt1950 from cover story Best covering emulsion I have ever used, and no fumes, fantastic. Rated 5 out of 5 by Maxstoke from Great Paint Very good quality paint and good value for money. Rated 5 out of 5 by rocket man 2 from paint. well pleased with the product.